Our composition contains Methylcobalamin which is better absorbed and retained than other forms of B12 (such as cyanocobalamin). Methylcobalamin protects nerve tissue and brain cells and promotes better sleep. Methylcobalamin is a cofactor of methionine synthase, which reduces toxic homocysteine to the essential amino acid methionine. Methylcobalamin also protects eye function against toxicity caused by excess glutamate. 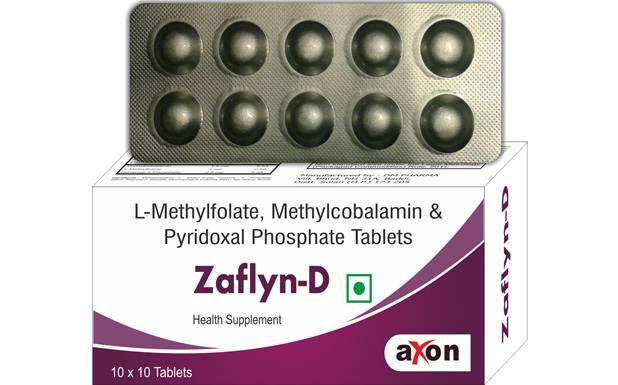 L-Methylfolate is involved in neurotransmitter synthesis and critical enzyme reactions throughout the body. By depleting excess homocysteine folate benefits cardiovascular health and nervous system function. Pyridoxal -5-phosphate plays a role in the synthesis of nucleic acids RNA and DNA, aids in the maintenance of the sodium-potassium balance, promotes red cell formation and provides nutritional support to the nervous system. This combination provides nutritional requirements needed to restore metabolic processes associated with diabetic neuropathy to maintain blood flow by increasing nitric oxide resulting in vasodilation.